I thin the English believe veggies are meant to be cooked till they die — my mother cooked them in the pressure cooker longer than I would cook them just on the stove top! I didn’t learn to like most veggies until I started to cook them for myself! My mum was not really a good cook. She even cut into the stems of the brussels to make sure they were cooked through. Yes — I remember her cutting crosses in the stem ends, but I never knew why! 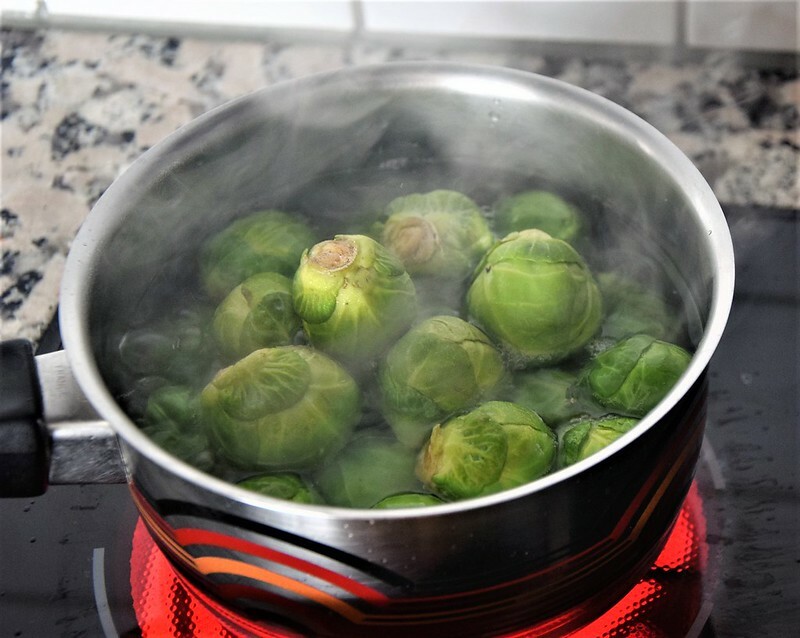 I love sprouts – steamed for 10 minutes then tossed in butter. I’m going to try and grow some this year. I toss every veg in butter, if I havn’t already fried it in butter. Lots of people like them. I got sick on them once when I was a kid and that kind of did it for me. A friend cooks them with walnuts and cranberries in a skillet. I like them as an accompany veg. The problem is I can only cook them when No. 1 son is not at home for dinner, which he always is. Otherwise I cook them and an extra veg for him. He will not eat them (I think it is because they are green). Oh how I love this poem. Likewise, my mom would cook them into mush just like every other vegetable that was mushable. I usually buy them as microwavable packages all set to go but that’s not planet-friendly or as healthy as it could be. 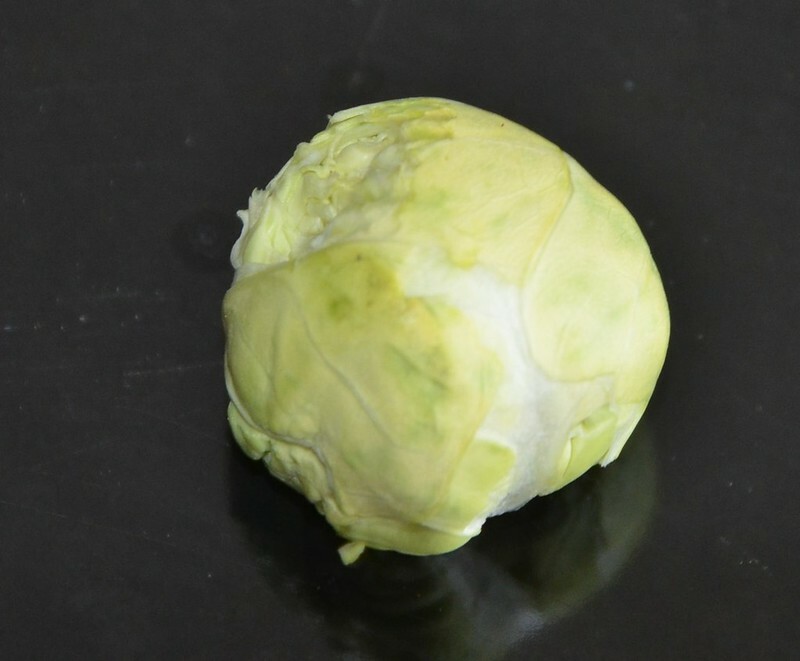 I’ve heard that roasted brussel sprout, cut in half with balsamic vinegar are good but haven’t tried them that way yet…. Since writing this I have seen so many variations of bruseel sprouts. I really hope to make some again when No 1 son is not at home. That sounds goodl I once tried them in the microwave, but the result was like bullets from a gun. Oh my goodness. Microwaving would turn them into…just like you say…artillery!! I love sprouts as well, especially sauteed in bacon and onions, yum! I don’t recall ever having brussels sprouts when I was growing up. I buy them now, and we love them! You are right though–if you boil them within an inch of their life–they are mush and totally inedible. I learned that the hard way by growing up as a Brit. Vegetables were cooked to death. I never liked them when mum cooked them, but when I began to cook to feed the family, I realised that they should have a bite when eating then and not collapse in the water they were boiled in. Brussels sprouts are a common crop on the coast here. The harvest does not smell very good. No-one likes a Brussel sprout. It is a winter crop here. Someone must like them if they are being grown. So they are grown because the ‘can’ be grown in a climate where not many other vegetables grow through winter?